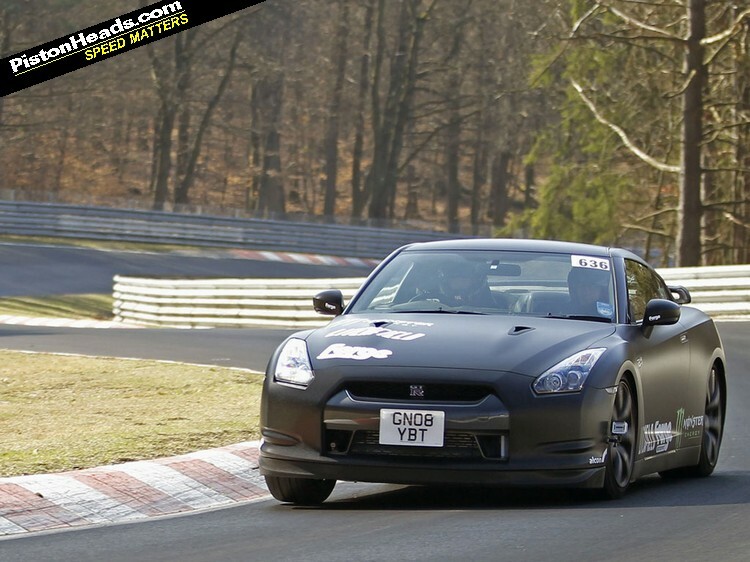 Pistonheads posted a few photos of the aftermath of a turn gone wrong at Nurburgring. We posted a couple of recent GT-R moments, and in this case it turned into a bit more than a moment. Liam Dorian, British X Games winner, and Pikes Peak RS200 pilot, put his R35 on its roof at the Nurburgring experience. Doran's Litchfield tuned GT-R was - emphasis on the was - apparently running around 650hp and, with no hope of stopping, the car was catapulted through the catch netting and ended up on its roof. Doran was apparently unhurt, despite the fact the car wasn't caged or fitted with harnesses, and is one lucky man given the state of the car. Check out Pistonheads for some more photos of the carnage.